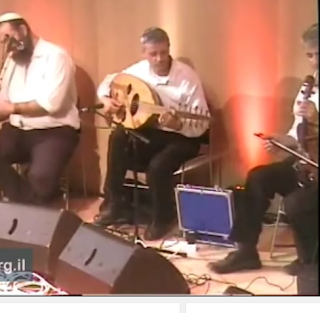 Click here for a Moroccan rendition of the Hanucah piyut Maoz Tsur. “The vast majority of the poetic and musical creativity of the Jews emerged in various Diaspora communities during the past two millennia. Since the founding of the State of Israel and the immigration of the majority of these ancient Diaspora communities to Israel, large sections of the great tradition of piyut have been lost or forgotten. Finding access to the remnants that remain is not easy. The brief history of the modern period created, in many cases, a gap between the tradition of the past and the modern society and culture that developed in Israel. Tradition generally, and the legacy of piyut in particular, has stayed alive and meaningful only among a small portion of the Israeli population. “As time has passed, the need for people to connect with these roots has grown greatly. It is a need to access the voices calling from the depths of time, absorbed in emotion and wisdom of the many generations that sang these piyutim. We will widen and deepen our language and understand ourselves and our nation better as part of understanding our ancestors and their traditions better.